The Deluxe Autoclavable Bed Pan is uniquely designed with convenience and comfort in mind. 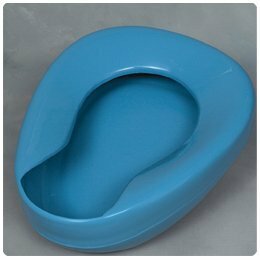 The Bed Pan is constructed of heavy-duty molded plastic to help resist odors.It is recommended for single-person use and is easy to clean with standard household cleaners.The plastic offers a contoured design and is molded for adults. Size 14" x 11-1/2", Back height 2-1/2"